We are dedicated to your pet’s health and love what we do! 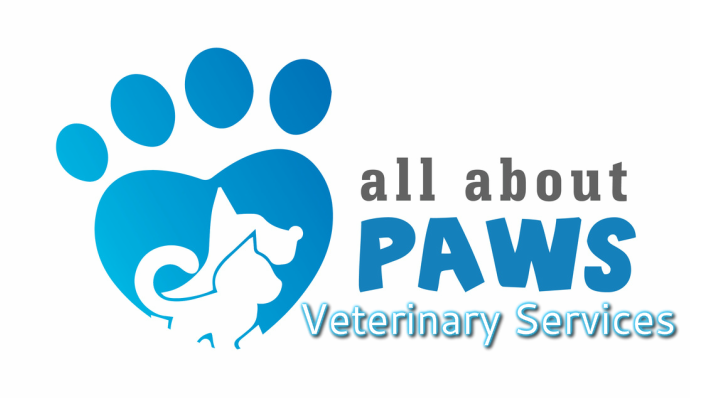 Our team is trained specifically to care for your pet and provide quality and thorough education. 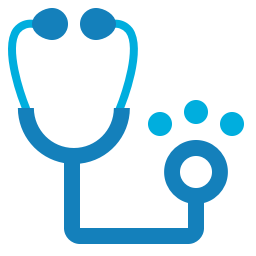 Our doctors alone have over 25 years of combined experience in providing excellent care and compassion! Dr. Allison Brown received her Bachelor of Science degree in Biology from Virginia Polytechnic Institute and State University in 2006. 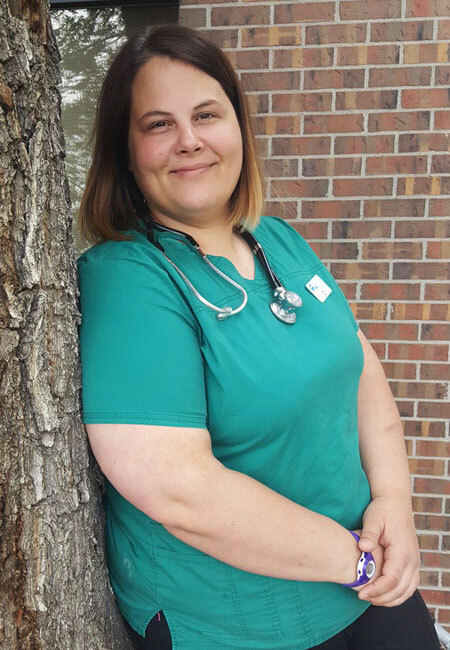 In 2011, she completed her Doctor of Veterinary Medicine degree at Colorado State University, accomplishing her lifelong dream of becoming a veterinarian and animal healer. 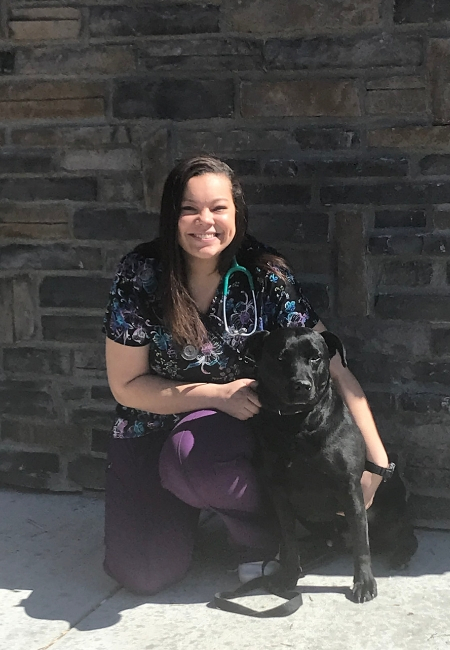 Dr. Brown enjoys practicing all aspects of veterinary medicine, with a special interest in oral and soft tissue surgery, internal medicine, pain management/hospice, physical therapy, integrative medicine and acupuncture. Along with dogs and cats, her passions in medicine include working with reptiles, birds and pocket pets. In her free time, Dr. Brown can be found snowboarding, rock climbing, and running with her dog, Pilot. 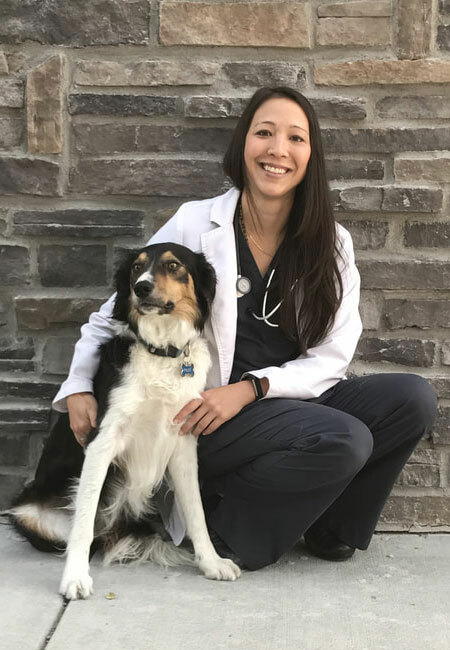 She was born in Kansas, but has spent much of her time growing up moving all over the U.S. Veterinary medicine and her love for animals has always held her interest. She greatly enjoys being an advocate for those without a voice, and making their lives better. She feels like they enrich her life every day. She earned her Associates of Applied Science degree through Bel-Rea. Her main goal here at All About Paws is to help the hospital grow and thrive with the amazing team she has. Her interests when she is away from work include gaming, yoga, and spending time with her beautiful cats Aurora, Bagheera, and her German Shepherd Ross. One day, she would love to live on the ocean front again. She was born and raised in Denver, CO. She has always had a passion for helping animals, and is pursuing her career in Animal Wellness. She received her Certification for Veterinary Assisting at Pickens Technical College and is working toward becoming a Veterinarian. She is very outgoing, and also, bilingual. She enjoys playing volleyball and football on her off time. She has a pomeranian at home named Boxer. One day, she wants to travel to Miami or Cancun. 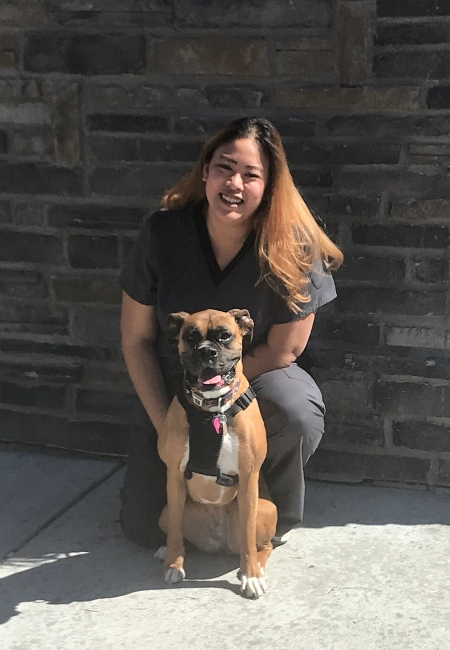 Destiny proudly graduated from Bel-Rea with an Associates in Science in 2018 and joined All About Paws in January of 2019. With her great sense of humor and endless patience we love having her as part of the team! Her main goal is to be the best technician she can be and in the future she would love to travel the world! In her down time she loves going to concerts, traveling and playing video games. She does all this with her faithful dog and tortoise companions; Bentley, Bear, Koda and Koopa, by her side. Kelly joined All About Paws in January of 2019. With a background in veterinary customer service and a winning smile she is a welcome edition to our great team! Kelly was raised on a farm in Strasburg and used to show horses and sheep in 4H. 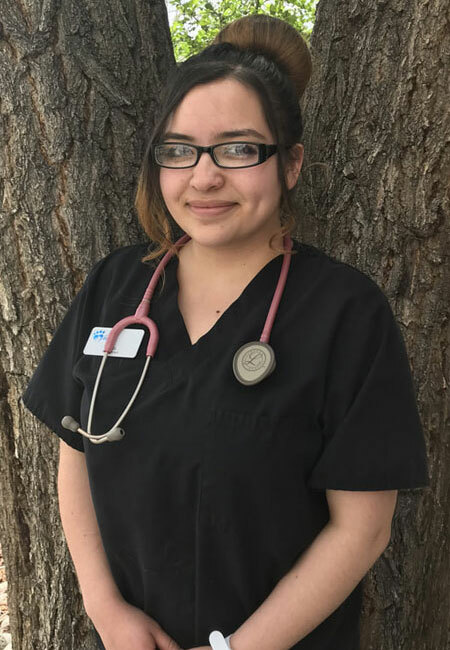 She is looking forward to going back to school to become a veterinary technician and would like to travel and see more of the world. In her spare time she loves watching movies, going to concerts and seeing what Colorado has to offer. She loves smushy face breeds and has a loving boxer of her own named Harley. 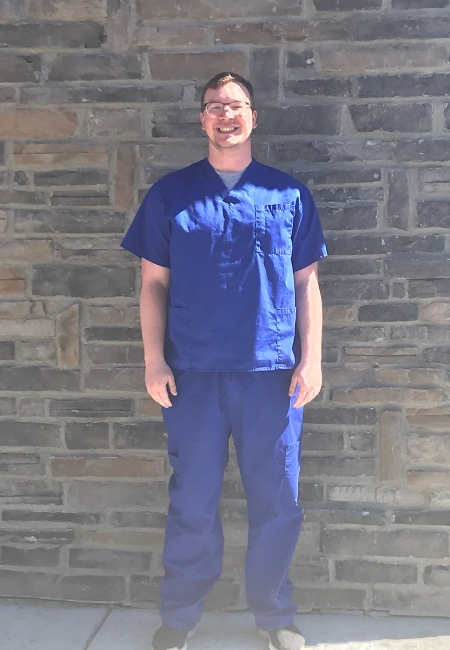 John is currently enrolled in Bel-Rea, studying to become a veterinary technician. He joined All About Paws in August of 2018. With his soft-spoken and calm demeanor, he has been learning the ropes and growing his skills as an animal caretaker. In his spare time he plays rugby, Magic The Gathering, and D&D. John hopes to utilize his degrees to study bears and work in a zoo someday. Quality healthcare for your pet you can actually afford! Use our online apppointment request form to request an appointment online in minutes.